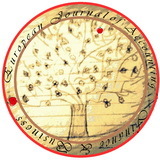 The European Journal of Accounting, Finance & Business is not a commercial one. It is available on request for academic purposes and within academic publications exchange programs. We are taking into account the possibility of delivering the journal by subscription.